The centre of Lairde focuses around a road junction with a garage, general store and post office. Just before the junction is a pretty looking white painted Presbyterian church. The caravan site where we are staying sits along the beach front with outstanding views across Gruinard Bay. 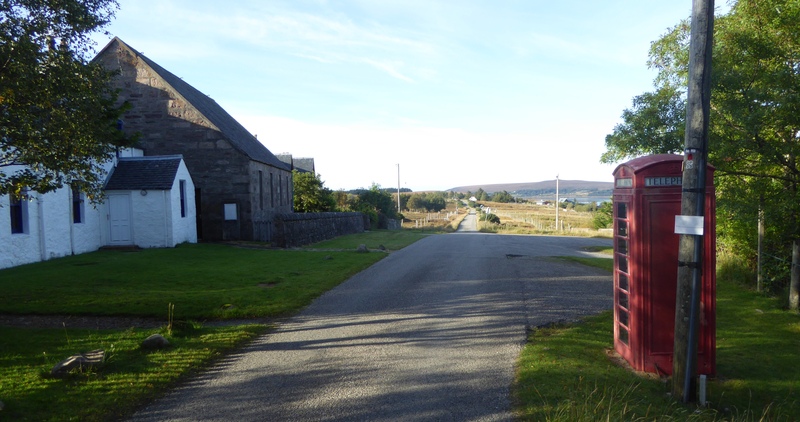 Beside the caravan park are the ruins and graveyard of Laide chapel. I leave the caravan site and make my way down the road and walk through a couple of places marked on the map, First Coast, and Second Coast, and was intrigued how they where named. It seemed to be one small hamlet that the road passed through. 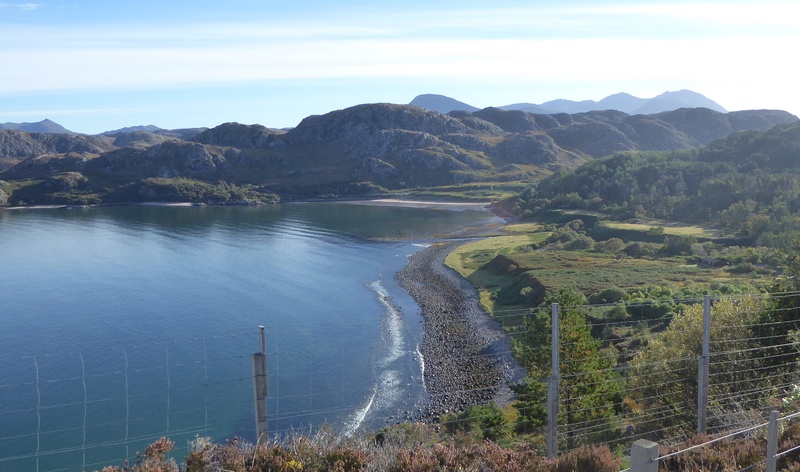 The road skirts round Creag Mnor and Meall Buidhe to Gruinard Bay with its pink sand from the Torridon rocks. One of the mountains that stand out is the hump of An Teallach, a ridge of red rock. I turn off the road at Mungrasdale where I meet a young lady on her way down to the beach with her children. Her husband had gone off mountain bagging with some friends. It turns out that she works at Stirling University where they are doing extensive studies into dementia. Gruinard Island became famous for the testing of Anthrax bombs in 1942. Anthrax is one of the most feared chemical biological warfare agents. The island was put out of bounds for nearly 50 years due to the contamination caused. It is also one of the habitats of the White Tailed sea Eagles. This entry was posted in Highland, Scotland and tagged Anthrax, Coastal Walking, Gruinard Bay, Lairde, Walking. Bookmark the permalink.